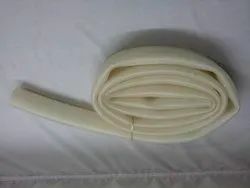 Leading Manufacturer of rubber pipe, rubber sleeve, rubber hose, silicon rubber tube, transparent silicone rubber tube and silicone tube from Vasai. 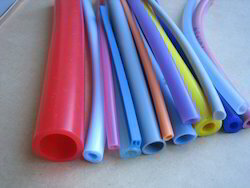 We are manufacture of silicone rubber tube, .It has a strong strength and excellent elastic. It is made of silicone rubber which is non--toxic to people's health. It has a bright color which never fades. we are engaged in the manufacture and supply of premium-quality Silicone Sleeve. They are fabricated using superior quality SILICONE RUBBER raw materials. in compliance with the prevailing industrial quality norms and standards. 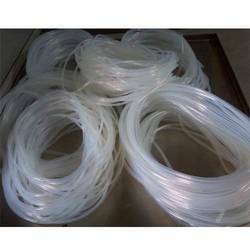 Food Grade Silicone Rubber Tubing with service temperature -30ÂºC to 250ÂºC. They are commonly used in contact with foods in accordance with provisions of FDA 21 CFR 177.2600. It can be installed in Coffee maker, Drinking fountains, Hookah and Home appliances waterproof line protection. OR pharma application. We are offering Silicon Rubber Tube to our clients. We are offering Transparent Silicone Rubber Tube to our clients. 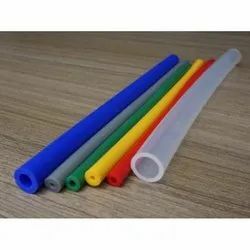 We are offering Silicone Tube to our clients. We are offering Silicone Transparent Tube to our clients. We are Manufacturing, Exporting, Distributing and Supplying Silicone Tubings in Vasai, Maharashtra, India. 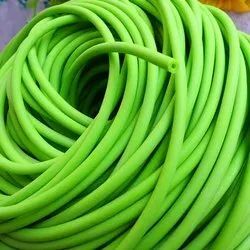 Extremely flexible; kink-resistant, UV-resistant and tear-resistant; nontoxic, tinted light blue and affordable, this high quality silicone tubing could become your favorite aquarium tubing. Autoclavable. Temperature range is -80 to 500 degree F. Its 1/8" I.D. fits all aquarium devices and 3/16" barbed fittings. Sold in 100' coils.